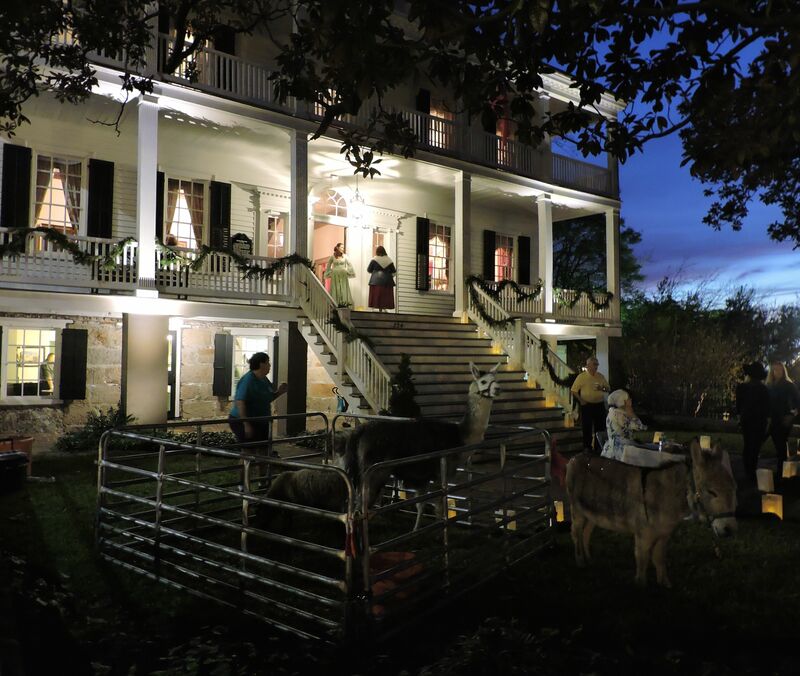 The Burgwin-Wright House and the Bellamy Mansion take visitors on a festive journey to earlier times with “A Christmas Stroll Through the Past.” The Burgwin-Wright House provides a colonial era experience while the Bellamy Mansion presents an antebellum version of the holiday. Luminaries line the sidewalks on Market Street between the two locations and adorn the iconic Kenan Fountain at the corner of Fifth Avenue. En route, guests can stop to enjoy Christmas carolers on the steps of St. James Episcopal Church. Visitors experience over a century of history as they tour both houses, where lively holiday music fills every room and decorations reflect the customs of by-gone eras. Interpreters dressed in period attire are stationed throughout both houses to guide visitors and answer questions. Activities for children include crafts activities, such as decorating ornaments, and learning about colonial toys. The Burgwin-Wright House is decorated for Christmas in the colonial-revival style. Ornamentation consists primarily of fresh greenery and fruit. According to a longstanding tradition, members of the NSCDA-NC decorate the house for the holidays.